I was recently buying some nice cheese and crackers as a birthday present for a friend, and I stumbled upon this beautiful box of crackers. It is a crisp, minimal design that uses colourful photography to highlight the main flavouring in the crackers, and the cheese it is meant to be paired with. Compared to the complex, colourful boxes that most crackers come in, this box is a refreshing change, and it conveys the essential information just as well as a flashy box. The mixed logotype at the top of the box gives the crackers a brand identity and the Gill Sans Light typeface at the bottom describes the character of the crackers. 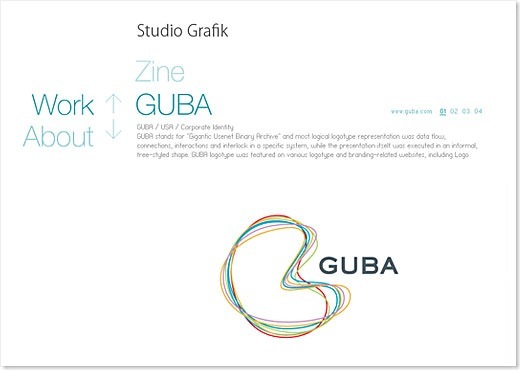 It seems that minimalist design is held on a pedestal these days, deservedly or otherwise. I think that minimalism has the potential to deliver a message very clearly and beautifully, but it needs to be done with a lot of tact and skill. Good spacing and typography are crucial, and it is common to see minimalist design that fails because it lacks one of these. For example, this web page falls down on the spacing, and its generic Helvetic-style typeface does nothing to intrigue the viewer—and as a result is not as effective as it could have been. 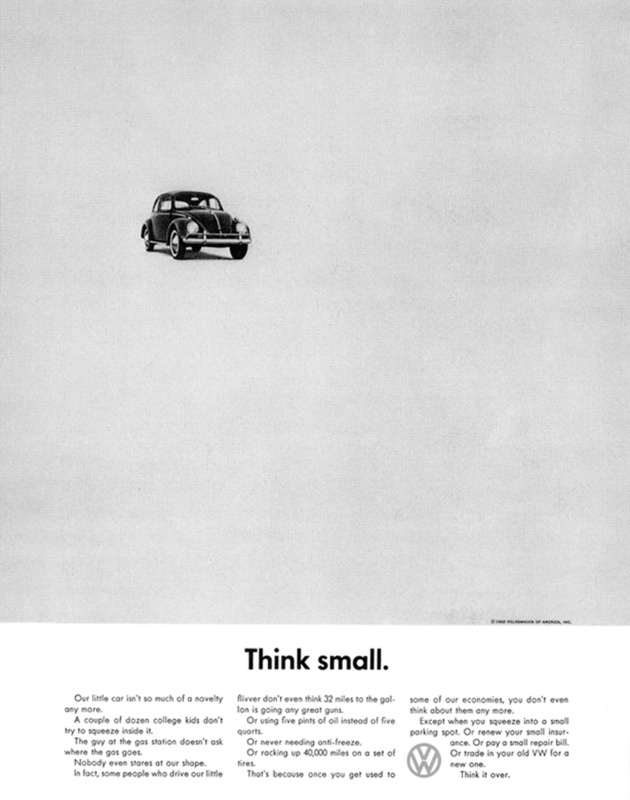 This classic VW ad from 1959 does minimalism beautifully, with excellent spacing and balance, a clever concept, and the ultimate minimalist font: Futura. One thing I might have done differently if I were designing the cracker package would be with the pairing of the two different typefaces. The elegant cursive capitals clash with the outlined small-caps. I think that the weights of the two varieties are just too different, considering how different the styles of letters already are. 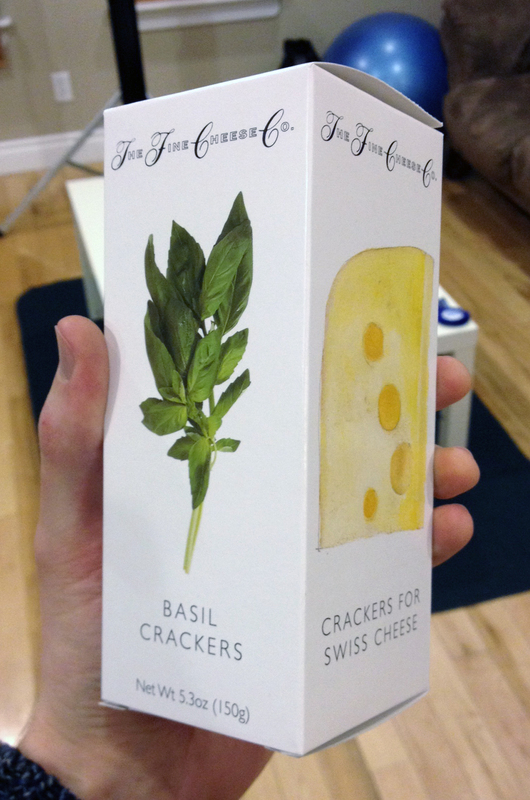 I had a look at The Fine Cheese Co.’s website, and discovered that there they use a different version of the logotype that is on the cracker box, and it includes solid small-caps. I think this is a better combination, as the weights of the typefaces are more equal. In the end, this box did exactly what it was supposed to, and convinced me to take it off the shelf and spend a hefty $7.24 on it. A very successful design, and tasty crackers too!